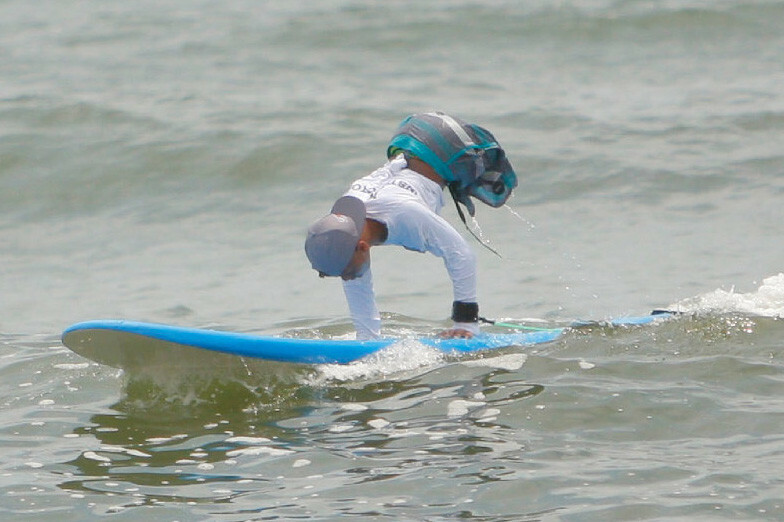 Disabled kids are catching waves on Long Island and standing on their own two feet — or hands. Isaiah Bird, 9, who was born without legs, is one of seven youngsters who are learning to ride the longboard this week on Atlantic Beach at what organizers call the state’s first surf camp for challenged students. “It was great!” said Bird, a fifth-grader who thrilled beachgoers Tuesday by doing a handstand on the board as he balanced himself over the waves. When Tommy Cura, 17, who has Down’s syndrome, arrived for the first day of camp, he needed an instructor to tow the board out to sea and stay with him as he wobbled to stand. On the third try, the instructor paddled off and left Cura to get back to shore by himself. “I stood up!” Cura shouted excitedly. 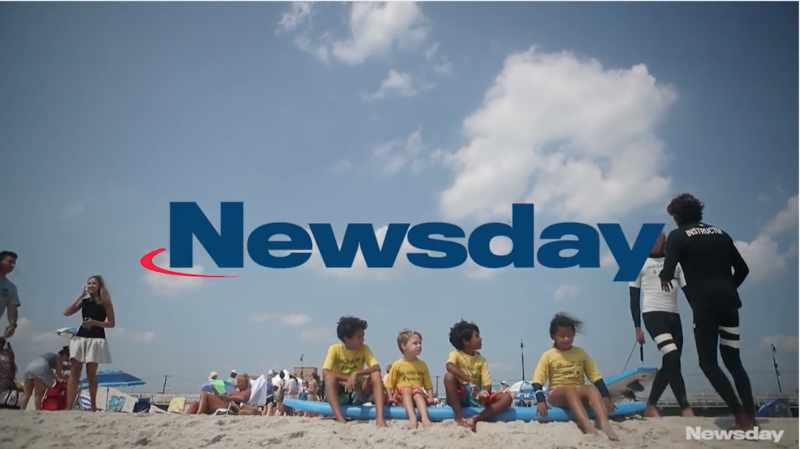 The four-day camp was created by John Jay College Professor Jim Mulvaney, who watched his own autistic son, now 29, gain mental and physical strength from the sport. “The ocean is a great equalizer,” said Mulvaney, who rounded up surf equipment and dozens of volunteers for the camp. He adapted two of the surfboards with water jets to help kids with less physical strength participate. 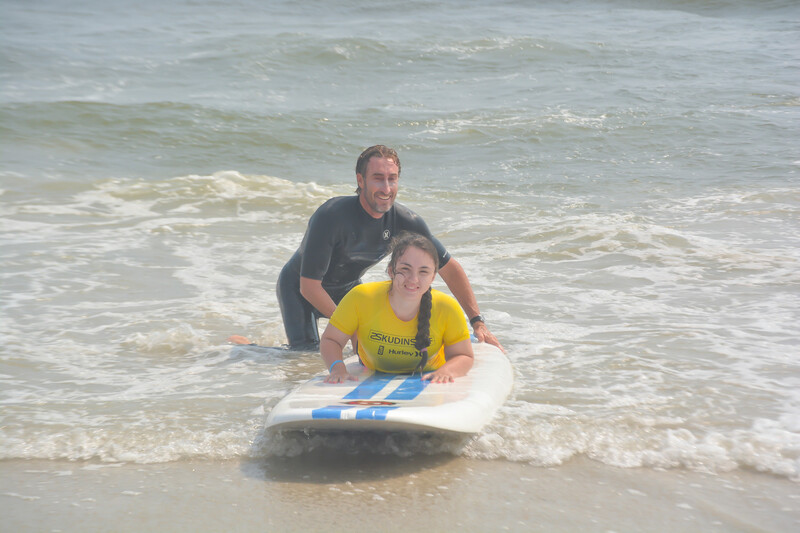 Besides overseeing the free week of camp, Mulvaney treats another 20 special-ed students from Long Beach Middle School to weekly surf lessons.